“Safe in the arms of Jesus, Safe on His gentle breast, There by His love o’ershaded, Sweetly my soul shall rest.” On Tuesday May 16 2017, Elisabeth “Betty” Eerkes went to be home to be with her Lord and Saviour. Her devotion to her family and her community, and her firm conviction in God supported her and ultimately gave her peace. Betty will be lovingly remembered by her husband, Ralph Eerkes; children Audrey (Jerry) Borst, and their children Michael, Colin (Melissa), Kevin (Alyssa); Elaine (Brian) Mulder and their children Jessica (Adam) Brandsma, Suzanne Mulder, Wendy (Keith) Mulder, and Mark (Brittany) Mulder; Ruby (Rick) Los, and their children Robyn (David) Mwamlima, Chelsea (Lucas) Hart; Eppo (Brenda) Eerkes and their children Keese, Tala, and Denai. Betty (Oma) especially loved her Great grandchildren Winston, Harley, and Joy. She will be missed by her sisters Wilma (Jerry) Thys and Francis (Jim) Martins; sister-in-law Betty Fields and numerous brothers and sisters-in-law; nephews and nieces. 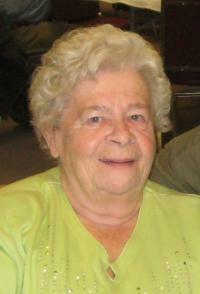 Betty Eerkes is predeceased by her brother Frank Fields. Please join us for a celebration of her life at 6:00 pm, Tuesday, May 23, 2017 at West End Christian Reformed Church, l0015-149 Street, Edmonton. In lieu of flowers donations may be made to Families Living Well Society.